The historical roots of the Vivekananda Vedanta Society of Chicago can be traced back to Swami Vivekananda’s visit to Chicago in the July 1893 to attend the World’s Parliament of Religions which was the very first attempt to create a global dialogue of faiths.Apart from the Parliament of Religions, Chicago is filled with footprints and memories of Swamiji. He visited Chicago for the last time in 1900 when he stopped for two days to visit the family he loved most – the Hales. 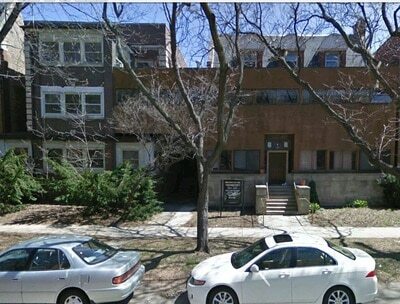 Thirty years after Swami Vivekananda’s last visit to Chicago, in December 1929, Swami Jnaneswarananda, a monk of the Ramakrishna Order arrived in Chicago to start a center in the city of Swami Vivekananda’s triumph. 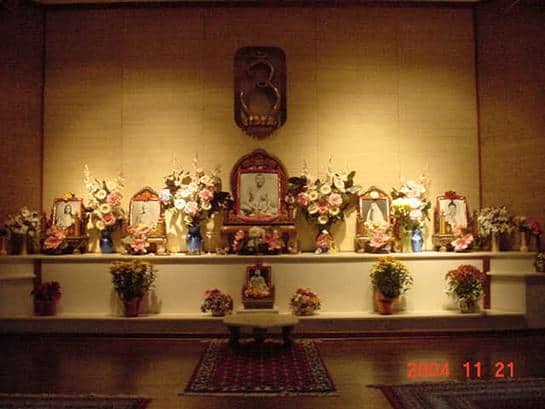 On January 19, 1930, the Vedanta Society of Chicago was established. Swami Jnaneswarananda had his quarters at 120, E. Delaware Place and classes were held in the Masonic Temple. Swami Vishwananda, who succeeded Swami Jnaneswarananda, moved the center, first to a rented apartment at 506 Deming Place, and later in 1955 to 44, E. Elm Street. After Swami Vishwananda passed away, Swami Bhashyananda became the Minister-in-charge. Under his guidance, the society expanded rapidly. With help from Chester Carlson, the founder of Xerox™ he bought the building at 5423 S Hyde Park Boulevard and the society moved there in 1966. He also established the Vivekananda Retreat in Ganges, Michigan in 1971. 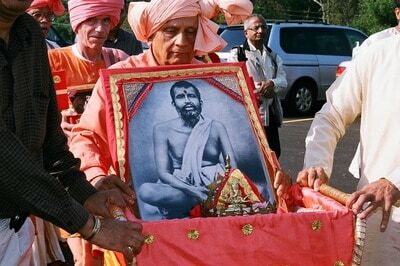 Swami Bhashyananda was a frequent traveler, established over 40 “satellite” Vedanta groups throughout the United States and Canada.